In 1985, a major drought occurred in the Wamba-Samburu East region of Northern Kenya. To help face this misfortune, community leaders came together to form the Wamba Community Development Program. 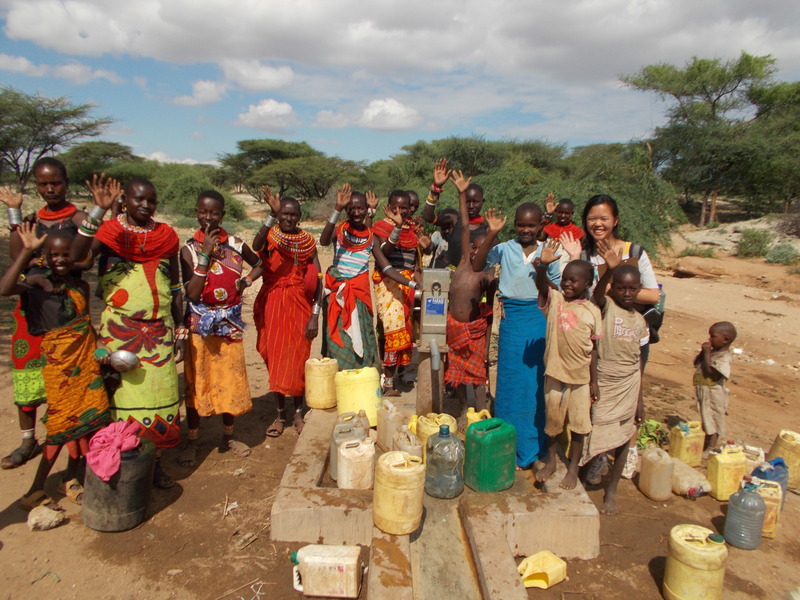 The area surrounding Wamba is home to nomadic pastoralist communities of about 30,000 people, about 90% of whom struggle with access to clean water sources. Do Good Lab is partnering with the Wamba C.D.P. to complete a rainwater harvesting system for the Lengarde Primary School. The Wamba Community Development Program’s mission is to improve the quality of life for all citizens of the Wamba Region. The program supports a number of broad-based projects in education, health and nutrition, water and poverty reduction. Past projects and programs have included additional classrooms, a dispensary, teachers’ houses, community latrines, tuition sponsorships, emergency food relief, and HIV/AIDs awareness. The Lengarde Primary School, which has an enrollment of over 200 pupils, is one of the schools built by the Wamba C.D.P. It has water tanks on site, but gutters, fasteners, and sheet metal are needed to harvest clean rainwater into the tanks. The rainwater harvest project is an attempt to minimize the amount of time children, typically girls, lose on a daily basis walking to and from water sources. In most cases the distance traveled exceeds 10km. In addition to the time lost, there is also the exhaustion factor of carrying heavy water cans in extreme heat for long distances, making learning difficult. By bringing a water source to the school compound, the children are drawn to school and now have time and energy to learn. Do Good Lab supports community led, grassroots projects in the developing world that are focused on agriculture, health, and education. The Lengarde Primary School rain-harvesting project benefits both health and education. Further, it is a model of a locally envisioned solution that addresses their water scarcity issues. Posted by Aezed Raza on Friday, July 19th, 2013 at 1:24 pm.